Two worlds. One connection. Embark on an extraordinary mission through space to find love and experience our planet like never before in the romantic adventure, The Space Between Us, from Universal Pictures Home Entertainment. Starring Gary Oldman (The Dark Night Rises, Harry Potter), Asa Butterfield (Ender's Game, Hugo), Carla Gugino (Night At The Museum, "Wayward Pines"), Britt Robertson (A Dog's Purpose, Tomorrowland), BD Wong (Jurassic World, "Law & Order: SVU") and Janet Montgomery ("This Is Us", Black Swan), The Space Between Us takes viewers on an out-of-this-world journey that reveals all the incredible beauty of the Earth and proves love is a universal language. From STXfilms (The Edge of Seventeen, Bad Moms), The Space Between Us on Blu-ray™, DVD and Digital HD is filled with special bonus features including a never-before-seen alternate ending and deleted scenes! 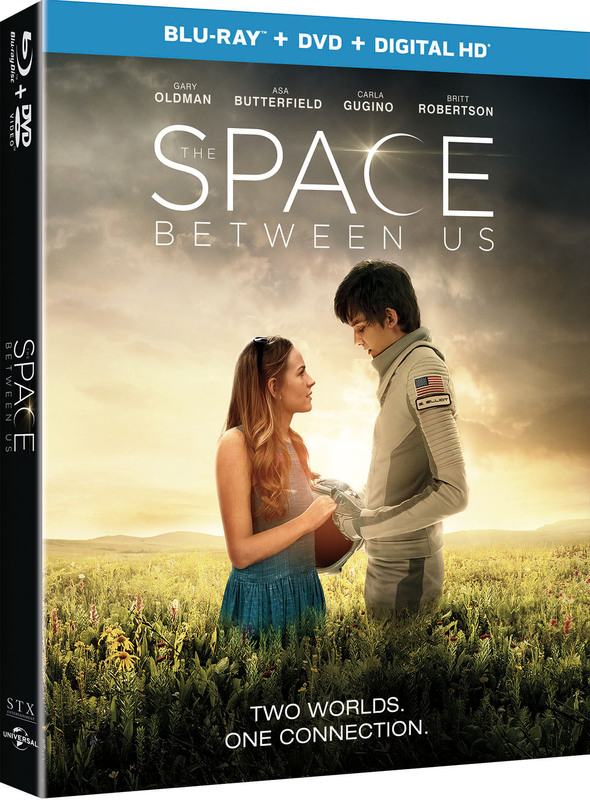 Thanks to Universal Pictures Home Entertainment, we are giving away (2) copies of The Space Between Us to two lucky readers of this blog. All you need to do enter the rafflecopter below. Good luck!